Supervised by acclaimed director Hirokazu Kore-eda (“Shoplifters”), “Ten Years Japan” also features five young directors and five versions of this country’s near future. Similar to the model on which the project is based, these future Japans are more chillingly possible than thrillingly fantastic — like a Japanese take on the sci-fi series “Black Mirror.” The segments are also sharp and to the point, if different in style. Unusual for an omnibus film, the quality level is consistently high. Though its ironies are obvious, the segment suggests a likely “Japanese way” of killing off the elderly, with kind gestures, soothing words and subtle pressure to conform. The old folks march obediently to their ends. In Yusuke Kinoshita’s “Mischevious Alliance,” a pilot program inculcates approved moral values in kids by wiring their brains to an AI system that monitors their every word and action. But one rebellious boy, with the aid of two classmates, releases an ailing horse from his stable. When he trots into the nearby woods they give chase as an elderly caretaker (Jun Kunimura) cheers them on. Told with touches of humor, this segment offers hope that kids will keep being kids, even with a “moral adviser” implanted in their heads. But as we are reminded, defective systems can always be upgraded. 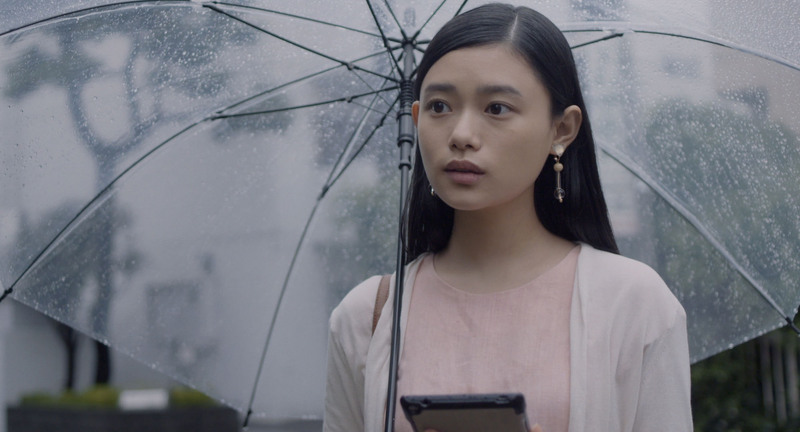 In Megumi Tsuno’s “Data,” a teenage girl (Hana Sugisaki) living with her kindly widowed father (Tetsushi Tanaka) accesses a “digital inheritance” program and learns of a disturbing episode in her mother’s past. More a perceptive family drama than doom-laden sci-fi, “Data” nonetheless reaffirms a truth that can only become truer a decade on: In our brave new digital world, your past is both omnipresent and permanent. In Akiyo Fujimura’s “The Air We Can’t See,” humanity has been driven underground by nuclear disaster. A young girl, Mizuki, falls under the spell of her friend Kaede, who speaks enticingly of the “world above” where the sun shines and skies are blue — both wonders Mizuki has never seen. Despite the cautions of her worried mother (Chizuru Ikewaki), she goes exploring. Told entirely from Mizuki’s viewpoint, this segment expresses her childish fears, desires and wonder with lyricism and power. Last is Kei Ishikawa’s “For Our Beautiful Country,” in which a young ad agency flack (Taiga) is sent to tell a distinguished artist (Hana Kino) that her design for a new Defense Ministry recruiting poster has been scrapped. Set in a Japan that again drafts its youth to fight in foreign wars, this segment is the most overtly political — and blackly comic. Kino is charming as an unconventional type who likes VR shooting games — and poignant as the daughter of a dead war veteran. But 10 years from now, how many here will still know or care about that war, especially if a Plan 75 erases the national memory in the name of the common good?